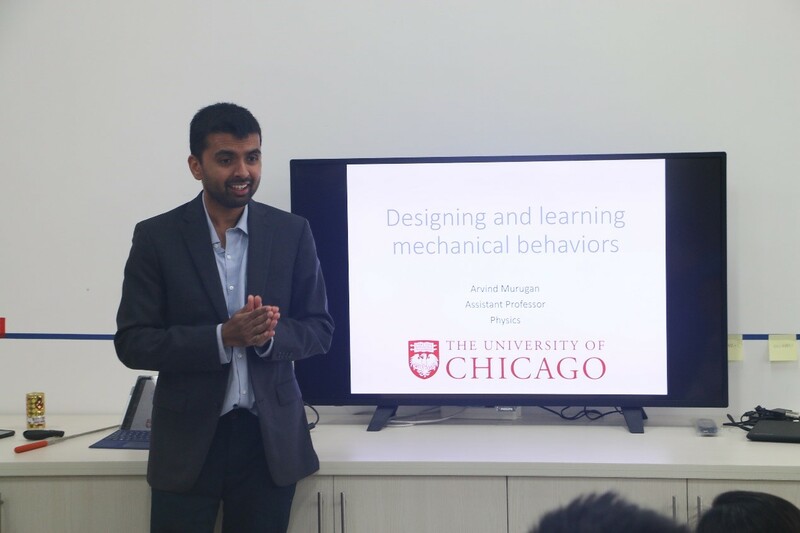 On October 15, 2018, Professor Arvind Murugan from Department of Physics, the University of Chicago, the United States, visited The Motion Structure Laboratory and gave us a seminar on "Designing and Learning Mechanical Behaviors". His research interest focuses on dealing with the control of the folding process of origami structures at the full deployed configuration by changing the stiffness of creases. 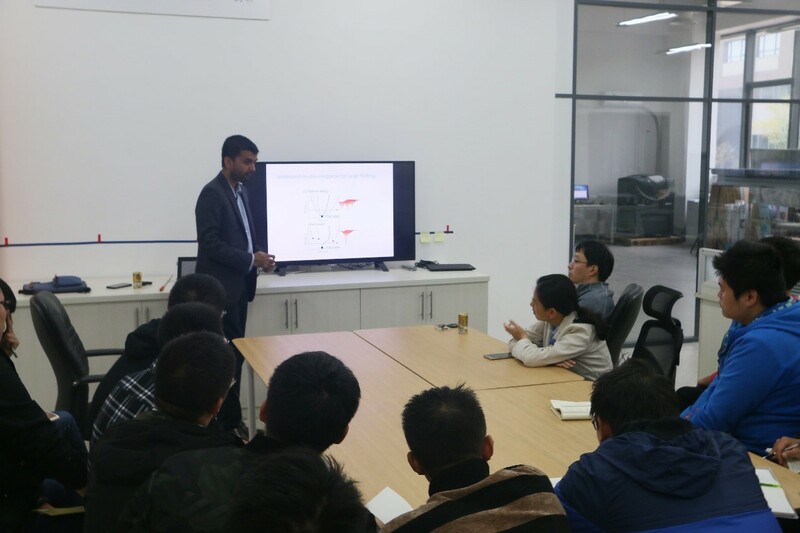 Professors Chen and Ma also introduced the research highlight within the lab. Both sides have reached a collaboration topic on the bifurcation control of an origami pattern with important engineering practice.